If you asked Ralph Korte to define his legacy, he’d simply tell you he’s always tried to be a decent guy — honest and truthful in business dealings, generous and not above anyone. That he built one of the nation’s biggest construction companies while profoundly impacting the construction industry and the St. Louis region is as unlikely as it is remarkable. He’s a testament that knowledge is power, courage is key to success and hard work really does pay off. Growing up on a small farm in rural Illinois, Ralph Korte had no intention of changing an industry or attending college — he wasn’t even afforded the luxury of attending high school. One of 14 children, Ralph Korte was born in 1934 to Tony and Minnie Korte, farmers in Highland, Illinois, a small community about 30 miles east of St. Louis. He attended a parochial school led by nuns through the 8th grade, but with no high school nearby and no busing available, he joined his brothers and sisters working on the family farm at age 14. It was at that time he developed an important skill and a lifelong passion. In those days, the farmers in the Highland community would help each other with construction projects, building for their neighbors when help was needed. Ralph’s dad, who was good with a hammer and a saw, took note of Ralph’s skill with tools and brought him along to help out. That was when he gained a love for the job. Fast-forward four years to 1954. After his 18th birthday, Ralph was drafted into the military — a life-changing experience that gave him the courage to learn. In March of 1955, with two weeks of boot camp remaining before he’d ship out to Korea from an Arkansas training facility, he sat reading in the military library. Rain pattering down on a wet, spring Saturday, he saw a sign on the library bulletin board for a GED test. Five 90-minute tests and five nights later, he passed, scoring in the 86.5 percentile — it dawns on him that the nuns who taught him through the 8th grade had a reason for being so tough. When he got to Korea, he killed time in the squad tent library, learning everything he could. Turns out, having the GED opened a new opportunity to him. When a fellow soldier learned the military would pay him to teach a college-level Business Law 101 course, he recruited six students. With his new GED, Ralph Korte was eligible and decided to help a fellow soldier earn some pay by taking the course (it was free to the soldiers). Surprised by his ability to keep pace with the college graduates who took the course with him, Ralph took Business Law 201 and was inspired to keep learning, get a college education and ultimately never waver in his pursuit of knowledge. That courage, inner confidence and drive to learn would suit Ralph well when he returned to Highland. Back home from his service in Korea, Ralph Korte had his life planned out — and it didn’t include building a national construction company or disrupting an industry. He was set to take over the family farm from his father, who was ready to retire at age 63. If it weren’t for a new wrinkle in Social Security, The Korte Company may never have existed. A change in federal law extended Social Security benefits to self-employed farm operators, but the retirement age was 65. Naturally, Ralph’s father went back to work for the next two years to enroll in the program and retire with the benefit. He asked Ralph to work as a hired hand on the family farm, so Ralph milked the cows day and night to pay his room and board for two years. In his spare time, he got to do what he loved best — swing a hammer. Ralph had a neighbor who was 10 years older and was good at construction. He’d bring Ralph along on projects helping other farmers. Ralph felt he could find enough work around the countryside to help pay the bills and save, so he picked up a $79 electric saw and began building for farmers at $2.00 an hour. As Ralph made his way around Highland building for farmers, word spread about the quality of his work. Before long, Ralph had farmers coming to him, willing to pay. His formula was simple. He always gave his customers more than they expected. If quitting time was 4:30, he’d be there till 4:45. In 1958, what was a side project to pick up extra money became Ralph Korte Construction Co. To this day, that same honest work ethic and personal dedication Ralph Korte brought to building for his neighbors remains a core value, cemented into the culture of what has become The Korte Company. At the same time, the fearless attitude he developed during his early life and time in the military was serving him well as he grew his business. While catching a bus from Greenville, Illinois to the nearby Army induction center back in 1954, Ralph got five dollars from his dad. Eventually, that fearless attitude would shape his company and help it stand out as one willing to take on risks and jobs that others never would. As the successes continued and his company grew, Ralph knew that to truly succeed in his new endeavor, he needed to learn how to run a business. And besides, he had a score to settle. Under the GI Bill, if he enrolled in a university program within three years of leaving the military, he could earn $2.30 an hour to take classes — tuition-free. “In the Army, I was making 30 cents an hour. My goal was to get even,” Korte said. Taking two classes a week in night school at Southern Illinois University – Edwardsville (SIUE) for the next nine years, Ralph learned key lessons he’d use to build his company. And as he continued learning, he made a commitment to education and lifetime learning that also became one of his company’s core values. Few in life walk a path toward great success alone. Ralph Korte was no exception. From a caring mother and father to close brothers and sisters, he’s rarely been alone. But no one has supported Ralph more than his wife, Donna Korte. Highland, Illinois circa 1959 was an overwhelmingly Swiss-German community, full of rich traditions. One such tradition was the town’s unique wedding celebrations. When couples got married, they would throw a free wedding dance for everyone in the town at a local dance hall, taking out classified ads to inform the whole area. If the bar receipts totaled more than $100 (about $820 in today’s money), the hall would be free for the couple. At one such town wedding on September 28, 1958, a friend of Ralph’s, named Janet, approached him and asked him if she could date his brother Larry, who was a soldier in Korea at the time. While talking to Janet, Ralph noticed a girl listening in on the conversation. And when the band started playing a slow dance song, he couldn’t help but dance with the eavesdropper. When Larry returned from Korea, the four of them went to the movies and saw Around the World in 80 Days. Larry and Janet never went on another date. But two months later, Ralph and Donna, the beauty operator, were engaged. On Oct. 4th 1959, they were married, and they’ve stayed together for more than half a century. Together, they’ve built a family and traveled the world over. With Donna at his side, college classes at night and a passion for construction, Ralph Korte built his family business. What Ralph formally started in 1958 as the Ralph Korte Construction Co., with four of his family members building for farmers, grew into a successful commercial construction company. In addition to farm projects, Ralph began building a range of commercial projects. Sometimes, he would acquire land, sell it to businesses and then build their structures on the land for them. Within five years, the company had completed several major projects and took on the design and construction of Helvetia Nursing Home in Highland in 1963 — one of the first known commercial Design-Build projects. As he took on more work and attended classes, Ralph learned a valuable lesson: one man can only do so much. For nine years, Ralph managed his company and took classes at night until he finished his business degree at SIUE, all the while setting out to hire the best people to build his company. Call it fate, destiny or sheer dumb luck, but in 1969, not long after Ralph finally finished his degree, a man would come to him and change the trajectory of The Korte Company for good. It was the summer of ’69. Vern Eardley was a confident, local kid from Highland who had cut his teeth as a project engineer building I-70 for the state of Illinois. Set to graduate from the University of Illinois with a Master’s in Construction Management — a rare feat in those days — he approached Ralph on a hot summer day in June. Ralph liked him, saw potential, saw smarts. He made Vern an offer for $14,000 a year. Vern made a counter offer. Management would take 24 percent of profits off the top. Ralph would take 12 percent, Vern would get 6 percent and Ralph’s brother, Larry — who had helped him start the company — would earn 6 percent too. That conversation turned into a decades-long business partnership, one that would alter the course of The Korte Company. With Vern on board, Ralph had another fearless innovator pushing the company to new heights. The company aggressively took calculated risks, adopted technologies and pioneered new ways to build. The bold, innovative spirit of The Korte Company was born, and the company never looked back. In 1976, the company was one of the first in the construction industry to adopt computers for estimating, scheduling and planning. 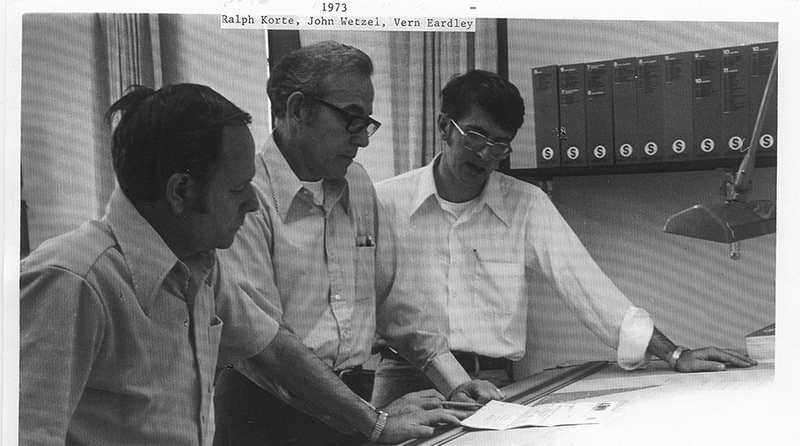 In 1977, they launched Ralph Korte Planning and Management, an internal Design-Build division. That same year, the company delivered its first integrated Design-Build project and adopted the practice of Tilt-Up concrete construction. Many of these developments came directly from the impassioned pushes of Vern Eardley. Together, he and Ralph simply refused to settle. For decades, The Korte Company continued to aggressively adopt newer and better technologies, methods and processes. The company contributed to the development of the Design-Build Institute of America and the formal development of the Design-Build method. They were one of the first in the industry to adopt Building Information Modeling and deliver LEED-Certified projects. Today, long after the leadership of Ralph Korte and Vern Eardley, aggressive, fearless innovation remains a core value of the company. Of course, Ralph, Vern and the rest of the company didn’t work in a vacuum. Ralph would credit much of the company’s collective knowledge and smarter development to borrowed lessons from the brightest minds in business. 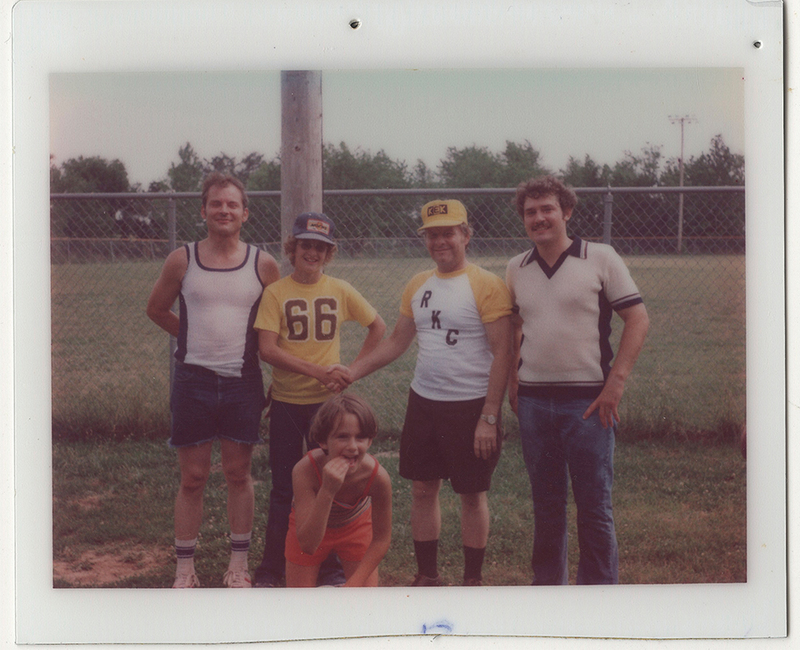 In 1970, he, Vern, and Ralph’s brother Larry drove 40 miles into St. Louis to attend the 12-week Dale Carnegie course in public speaking, one many of the company’s other leaders would eventually take. Over time, Ralph would credit much of the company’s best ideas and greatest successes to his membership in the Young Presidents Organization (YPO). In 1974, Ralph joined YPO at the direction of a trusted supplier who was a member. It was an exclusive club comprised of the area’s young leaders. Only company presidents younger than 40, whose firms had more than 50 full-time employees and $3 million or more in revenue, could join. “Joining Young Presidents in 1974 was the equivalent of a Master’s in Business,” Korte said. 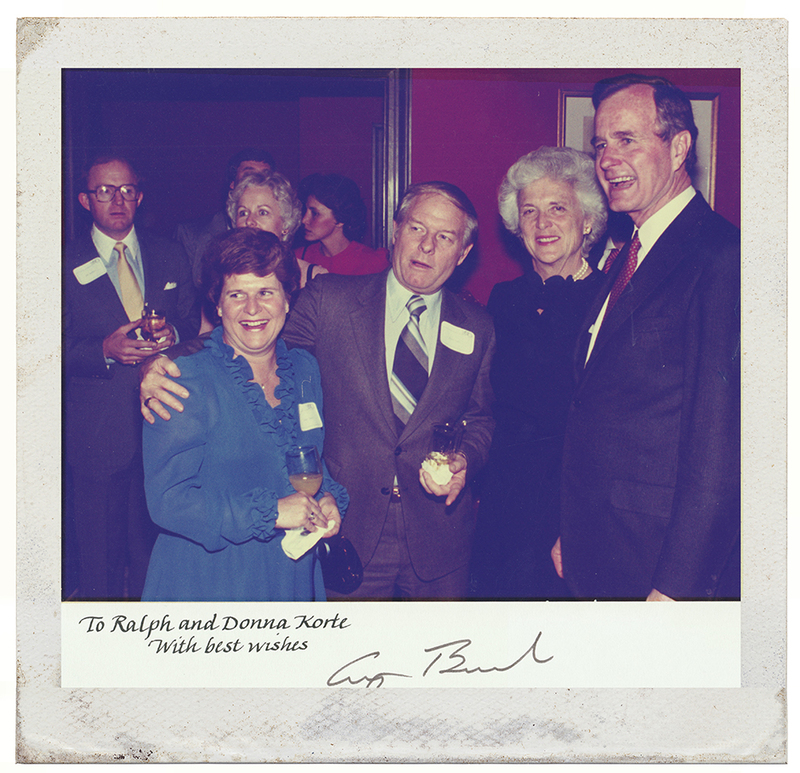 Through his membership in YPO and, later, the World Presidents Organization (WPO), the organization’s arm for members older than 50, Ralph was able to bring innovative practices to The Korte Company. He learned advanced business principles and developed lasting relationships with the region’s leaders. The small farmer from Highland, Illinois would go on to attend YPO and WPO conferences and seminars across the globe, from Tokyo, Singapore and Bangkok to Sydney, Rio De Janeiro and Vienna. Over time, the company enjoyed great success and has built in 42 states and counting. But Ralph and his company never stopped caring about the Highland community and the St. Louis region, helping to develop both through volunteering, donations and service. On July 15th, 1966, Ralph Korte’s name appeared on the front page of the local paper. It was the first time he had ever been front-page news, but it wouldn’t be the last. Early in the year, the Wall Street Journal had secretly sent two men to the St. Louis region to scout possible sites for a new, experimental printing location within 30 minutes drive of the downtown St. Louis Post Office. When they came upon a perfect, 12-acre lot in Highland, Illinois, they called the owner, and Ralph Korte picked up the phone. They didn’t tell him they worked for the Wall Street Journal because the company was keeping the project under wraps. But one of the men, a fellow by the name of George Flynn, gave him a $20 deposit and his home phone number — a New Jersey number. It all happened so fast, Ralph didn’t believe it was real, so he called the number. When Flynn’s daughter picked up, he asked for a lumber company, and she said her dad worked for the Wall Street Journal. After secret negotiations and developments, the Wall Street Journal was headed to Highland. As a result, Ralph was able to buy up and sell lots close to the property and bring more businesses to the area. “I was able to attract about eight other industries to Highland because the Wall Street Journal was here,” Korte said. Names like Trouw Nutrition, Aramark Uniform and B-Line, now Eaton Corporation, soon followed. It’s hard to say how many other businesses came as a result. Through the years, Ralph Korte played a significant role in developing the Metro-East area and the St. Louis region, serving on the Board of Trustees of the St. Louis Regional Chamber and Growth Association and as President of the Highland Chamber of Commerce. He’s sat on the boards of many prominent area non-profits, such as the Missouri Botanical Gardens. Among other initiatives, he helped found SIUE’s Construction Management program, donated $1 million to the university and gave $1 million to help bring a recreational facility to Highland — named the Korte Recreation Center. Ralph would tell you he was just trying to be a decent guy and do something good with the blessings he was fortunate to have. 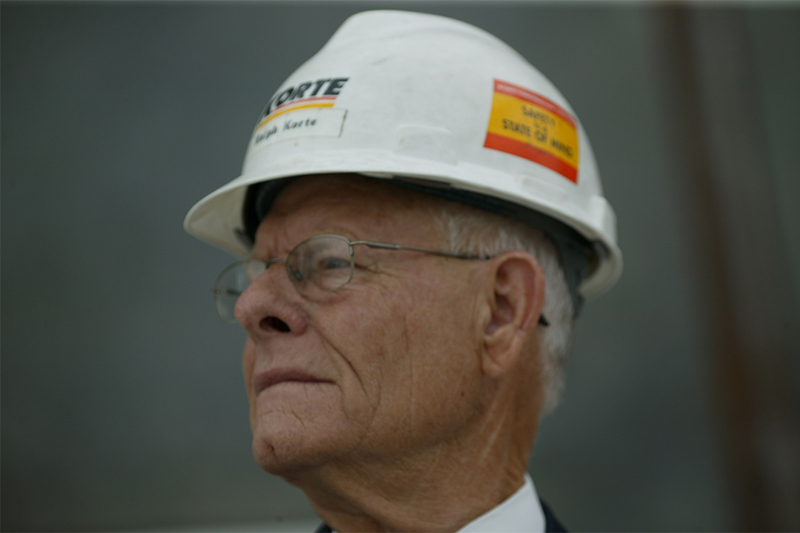 Ralph Korte has built a lasting legacy in the construction industry, the Highland community and the St. Louis region. Through a commitment to learning, fearless innovation and hard work, he has made an impact few would have expected from a small farmer in Highland, Illinois. In 2008, he retired and is spending his twilight years traveling with his wife and enjoying time with his children and grandchildren. In his retirement, Ralph Korte remains active in WPO and serves as a mentor for students of SIUE, continuing his work for charities in the Highland and Metro St. Louis region. He sold The Korte Company to his children and stakeholders, who carry on the company with the same principles that made it so successful under his leadership.